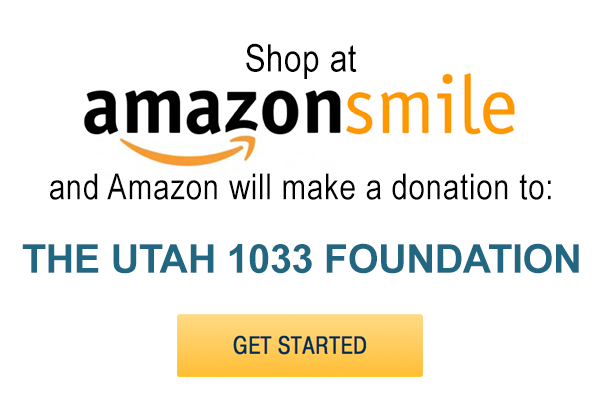 Individuals that either donate to Utah 1033 Foundation online or register for email using our online forms, voluntarily provide us with contact information, (such as name, address, phone, title, and e-mail address). We may use this information for specific, limited purposes within The Utah 1033 Foundation. If you process your donation with a credit card, we do not receive that information, only our processing partner, PayPal.com, receives this information solely to process your charges. The Utah 1033 Foundation host server uses your IP address to help diagnose problems with our server and for statistical metrics used to track website visitor traffic. Some websites may save a “cookie” on your computer’s hard disk to provide a temporary history of actions taken. Our website does not retain any record of these cookies. We use your personal information to provide you with personalized service, to send email alerts to you, to answer your requests, to process your membership application, etc. You may choose to opt out at any time, which will cease all communications from us. We may also use your information to track visitors to our website. This lets us see which of our features are the most popular so we can better serve our users’ needs. The Utah 1033 Foundation does not sell or rent any collected email addresses to anyone outside the organization. Any group communications will come directly from The Utah 1033 Foundation to those who choose to be on our e-mail lists. You may always “opt out,” either now or at any time in the future.